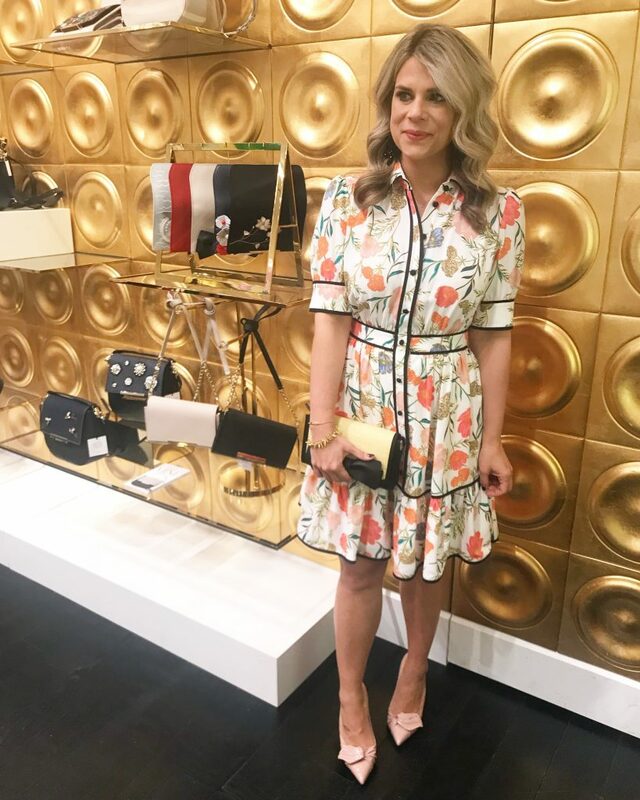 A few weeks ago, I had the opportunity to Style my favorite Springs looks at an event with Kate Spade Woodland Hills. 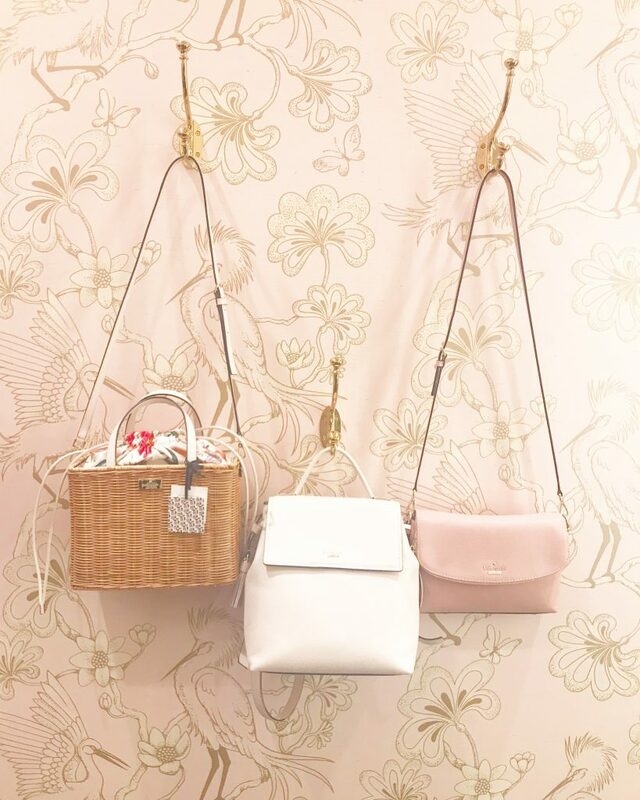 Kate Spade is celebrating this year with a ‘Trip Across America’. Each month they release a new collection, with a new area in mind. 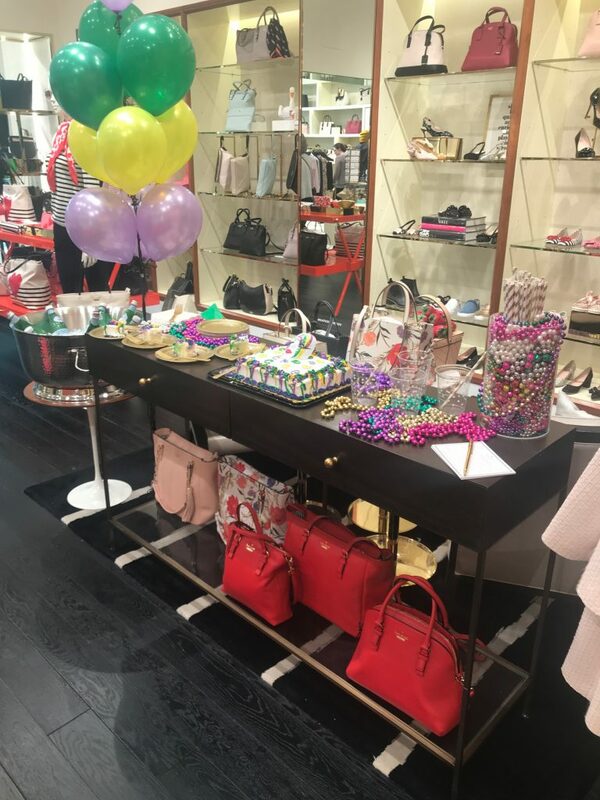 The girls at the Woodland Hills store put together the cutest New Orleans Bayou Brunch, complete with a jazz band playing ‘When the Saints Come Marching In’ and King Cake! 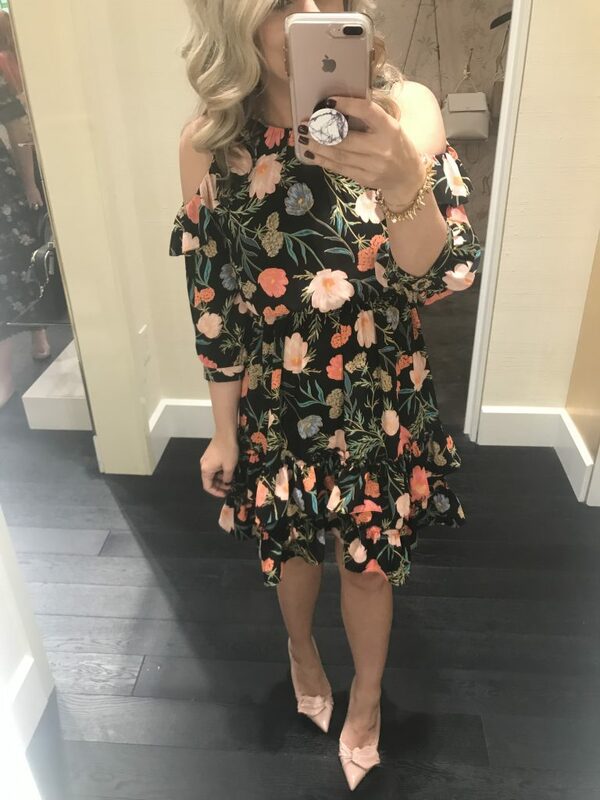 I walked in to a fitting room completely set up for me with current and preview pieces, shoes, bags, jewelry and a cupcake (of course!) 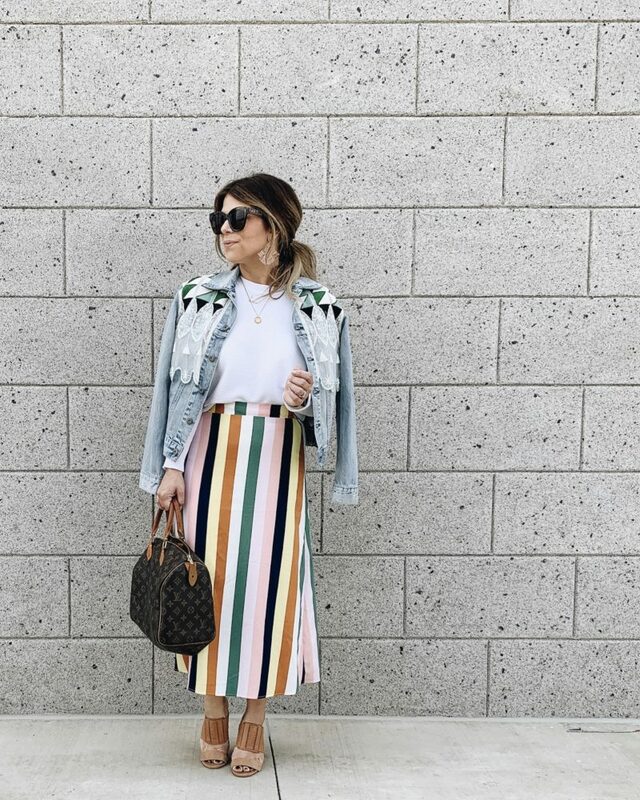 I had so much fun styling the different pieces. 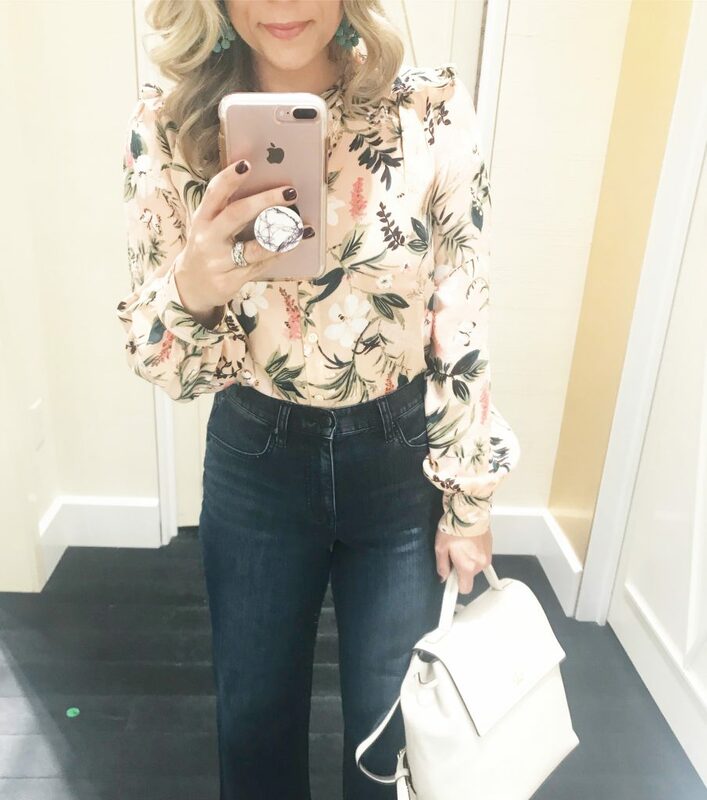 So many florals, woven handbags, and blushes; I left feeling so ready for Spring! 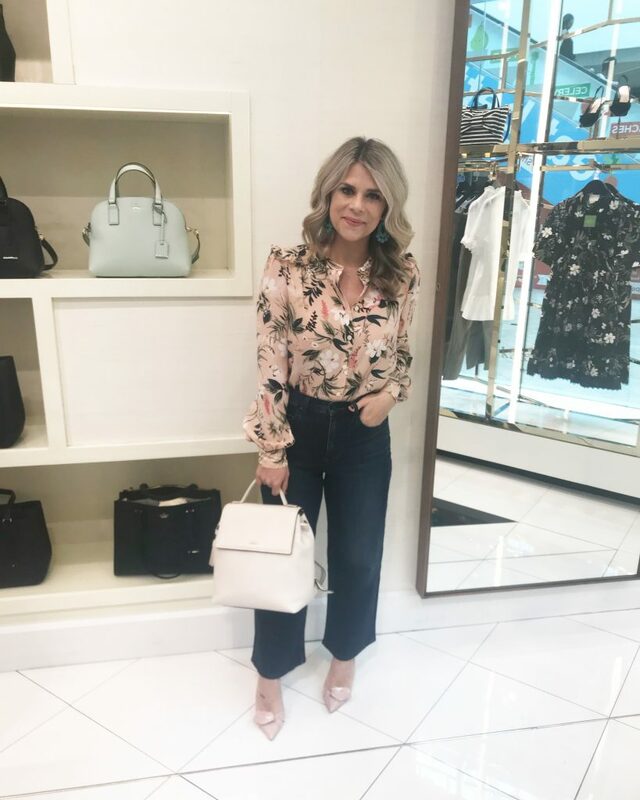 Kate Spade has always be a go to for me when it comes to handbags, but I this was the first time for me to try their clothing. Every single piece fit like a glove. Perfectly tailored. 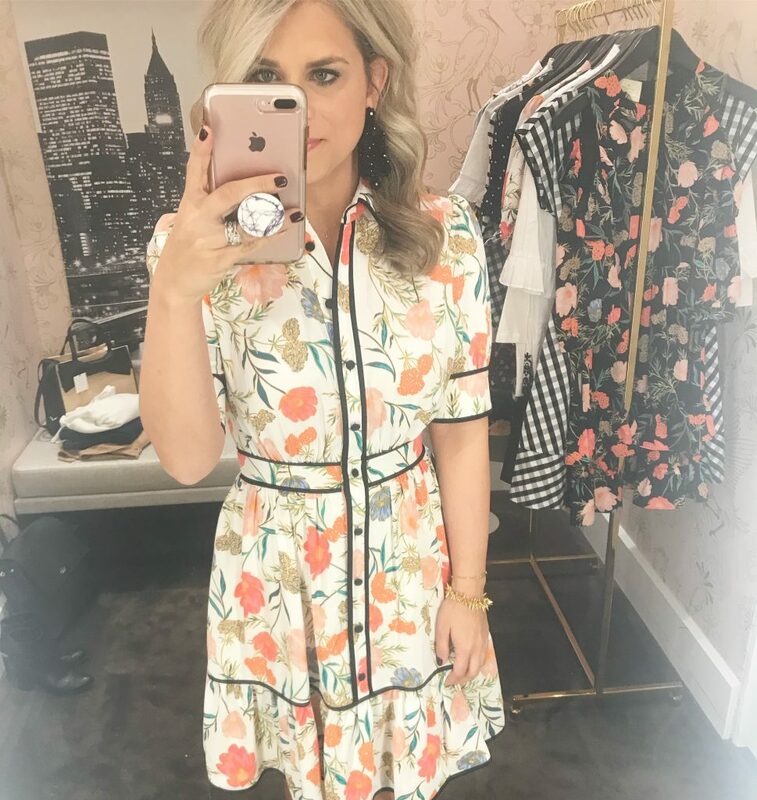 The quality and attention to detail in each piece is what truly makes them unique (and worth the price tag!). I am so excited, because many of the pieces I initially shared on my Instagram and Insta stories were previews and are finally available TODAY! Even better…Beginning today through Saturday (3/1-3/3) you can save 30% store wide with the code ‘SWP18MAR‘. 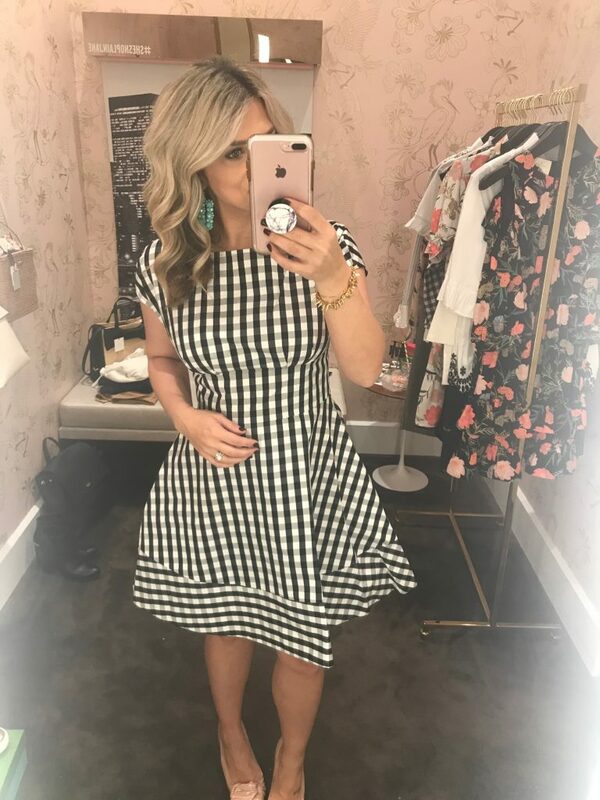 AND 2% of every sale will go to the non profit that helps the artisan women of Masoro, Rwanda who make the ‘ON PURPOSE’ line of bags with Kate Spade. 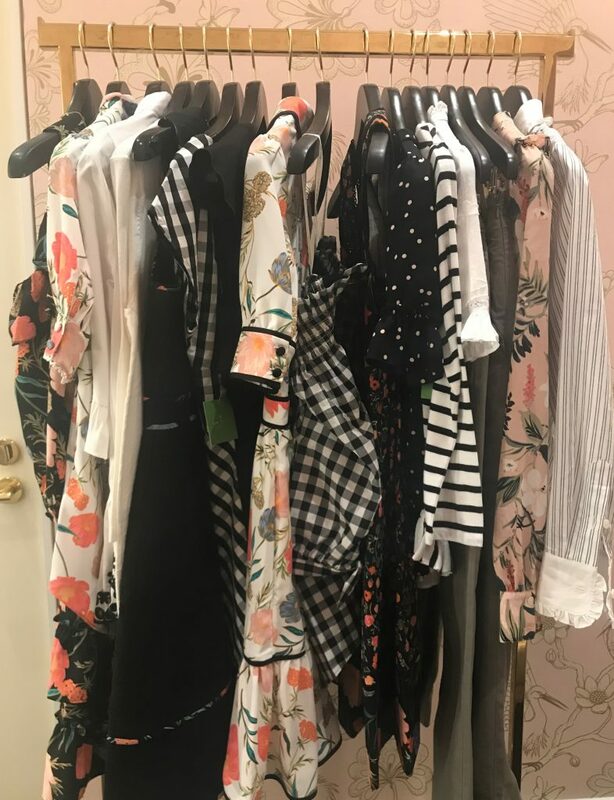 A BIG Thank you to the girls of Kate Spade Woodland Hills! They are the sweetest group! If you’re local, you can use this 30% off code in store as well!